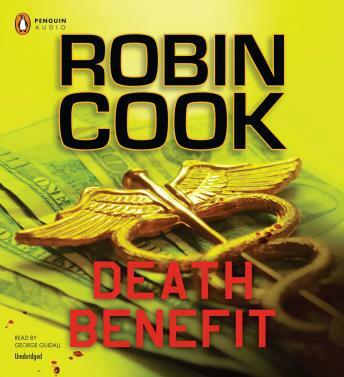 ROBIN COOK--New York Times-best selling author and master of the medical thriller--returns with another crackling tale of unchecked greed, medical malfeasance, adn starling science. PIA GRAZDANI is an exceptional yet aloof medical student working closely with Columbia University Medical Center's premier scientist on cutting-edge research that could revolutionize health care by creating replacement organs for critically ill patients. Thorough her work with the brilliant molecular geneticist Dr. Tobias Rothman, Pia knows she will be given the chance to fulfill her ambition to participate in medical discoveries that can help millions while bringing her a measure of personal peace that might once and for all push aside memories of her difficult and abusive childhood.But when tragedy strikes in the lab, Pia, with the help of infatuated classmate George Wilson, must investigate the unforeseen calamity in the hospital's supposedly secure biosafety lab. Meanwhile, two ex-Wall Street whiz kids think they have found another loadstone in the nation's multi-trillion dollar life insurance industry. They race to find ways to control actuarial data and securitize the policies of the aged and infirm to make another killing. As Pia and George dig deeper into the events at the lab one question remains unanswered: is someone attempting to manipulate private insurance information to allow investors to benefit from the deaths of others?